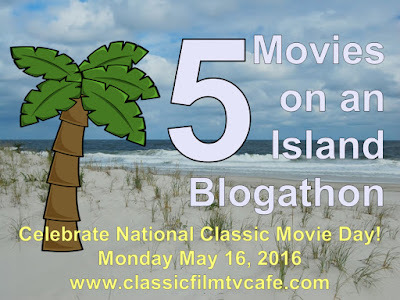 Today, I'm celebrating National Classic Movie Day (it's May 16) by recommending the five movies I would take on a desert island. 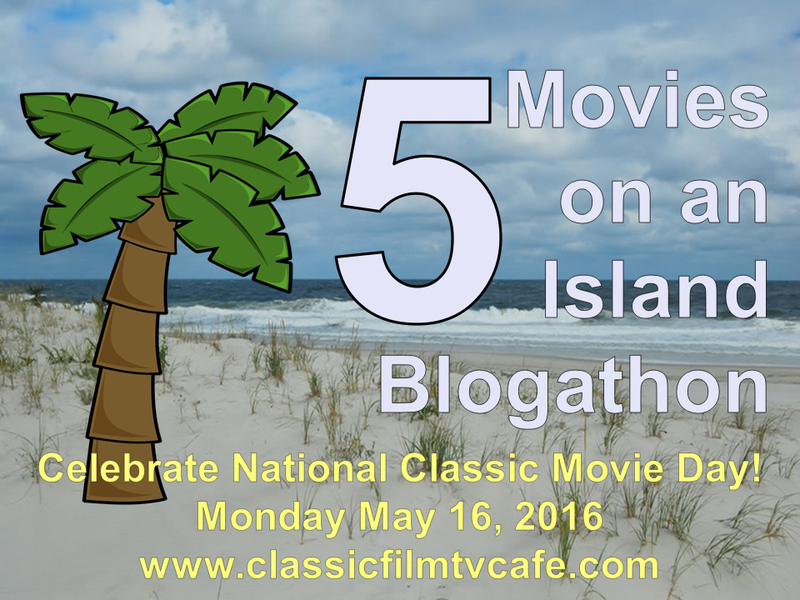 This article is part of the 5 Movies on an Island Blogathon hosted by Classic Film and TV Cafe. Classic movies are one of life's great joys. They can make you laugh, make you cry, and, more importantly, give you a better understanding of life itself. The movies of the old Hollywood studio system circa 1910-1966 are also the 20th century's greatest artistic achievement. It never ceases to amaze me that a small group of moguls who were looking to pad their bottom line employed and nurtured so many great and disparate talents. The impressive roster includes Billy Wilder, John Ford, Greta Garbo, Charlie Chaplin, Katharine Hepburn, Alfred Hitchcock, Judy Garland and Orson Welles to name just a few. That's why I'm thrilled to recommend five wonderful classic movies to celebrate National Classic Movie Day on May 16. I've chosen my selections by decade -- there's one film from the 1920's through the 1960's -- and added the ways you can watch each film. Plus, there are a few honorable mentions for even more movie love. Like so much of modern life, the movies began in the fertile mind of the inventor (and my fellow Ohioan) Thomas Edison. The great man didn't tap into the full potential of his new invention, so it was left to a wide-ranging set of pioneers like the Lumiere Brothers in France and the American director D.W. Griffith to turn the primitive flickers into a sophisticated art form with its own cinematic language. By the mid-1920's, American movies were a global business that was centered in Hollywood, a rural California backwater that attracted the nascent movie industry because of its warm climate. There, amid the orange groves and sunshine, great stars like Greta Garbo, John Gilbert, Rudolph Valentino, and Buster Keaton churned out movies that entertained a worldwide audience. 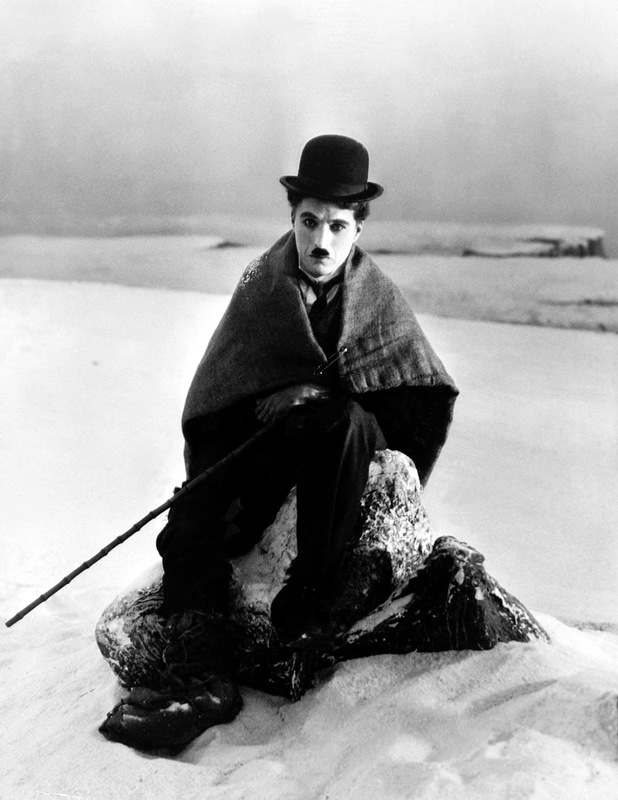 Although there were many great stars in the 1920's, none was bigger than Charlie Chaplin. A working class Englishman who was a product of the knockabout world of the English music hall, Chaplin's Little Tramp persona delighted audiences like no one else. While moviegoers laughed at his many bumbling missteps in movies like The Gold Rush where he played a luckless Klondike miner, they also identified with Chaplin in an almost visceral way: His struggles mirrored their own workaday world, his triumphs gave them hope for the future, and his ability to pick himself up after every loss gave them inspiration to try again. DVD, Blu ray, video on demand. Honorable Mentions: Safety Last! ; The Phantom of the Opera; Way Down East; Sparrows. The arrival of sound movies in 1929 abruptly ended the silent era, and, while the early sound films lost much of the languid fluency of silent movies, they gained a new immediacy thanks to emerging stars like the pugnacious James Cagney, the bawdy Mae West, and the anarchic Marx Brothers. The strict enforcement of the Motion Picture Production Code in 1935 squelched most of the sauciness of the pre-code movies, but it ushered in the sophisticated age of the movie star, which culminated in the landmark year of 1939, when moviegoers were presented with an abundance of timeless classics like Gone With the Wind, The Wizard of Oz, and director John Ford's classic Western, Stagecoach. This film is about as near to perfection as anything made by the studio system, and it is filled with moments of visual poetry like John Wayne's star-making entrance and the final gunfight scene. TCM at 8 p.m. July 5; streaming on Fandor and Hulu; DVD; Blu ray. Honorable mentions: Angels With Dirty Faces; Scarface: The Shame of the Nation; Bringing Up Baby; Camille. After the landmark year of 1939, the 1940's began with experimentation. English Director Alfred Hitchcock brought his own particular brand of suspense to Hollywood with Rebecca (1940), and 25-year-old wunderkind Orson Welles created a masterpiece of endless innovation in Citizen Kane (1941). After the Japanese attack on Pearl Harbor in December 1941, Hollywood jumped into the war effort, churning out flag-waving spectacles like Yankee Doodle Dandy (1942), but underneath all of the gung-ho patriotism there was a darker current in American cinema. The film noir genre began as a trickle in the early 1940's, but it became a flood in the postwar period when a new cynicism entered American life. One of the first pure noirs was screenwriter and director Billy Wilder's murder-mystery, Double Indemnity. 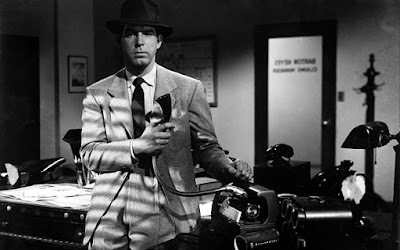 From the moment crooked insurance agent Walter Neff (Fred MacMurray) turned on his dictaphone to record an "inter-office memorandum" audiences were treated to a heretofore unexplored journey into the heart of darkness within the American dream. TCM at 8 p.m. May 21 and midnight June 3. DVD; Blu ray; video on demand. Honorable mentions: The Heiress; Meet Me in St. Louis; Mrs. Miniver; The Wolf Man. By 1950, the movies were competing with TV for audience's attention. Many people preferred to stay home and watch Milton Berle or Lucille Ball, so Hollywood studios decided to make bigger, splashier fare in glorious Technicolor. While this resulted in the slow decline of film noir -- the genre had mostly ran its course by the mid-1950's -- the Western and especially the musical benefited from these changes. The early 1950's are filled with great musicals, but my personal favorite is An American in Paris, which has a gentler, dreamier tone than splashier movies like The Band Wagon and Seven Brides for Seven Brothers. 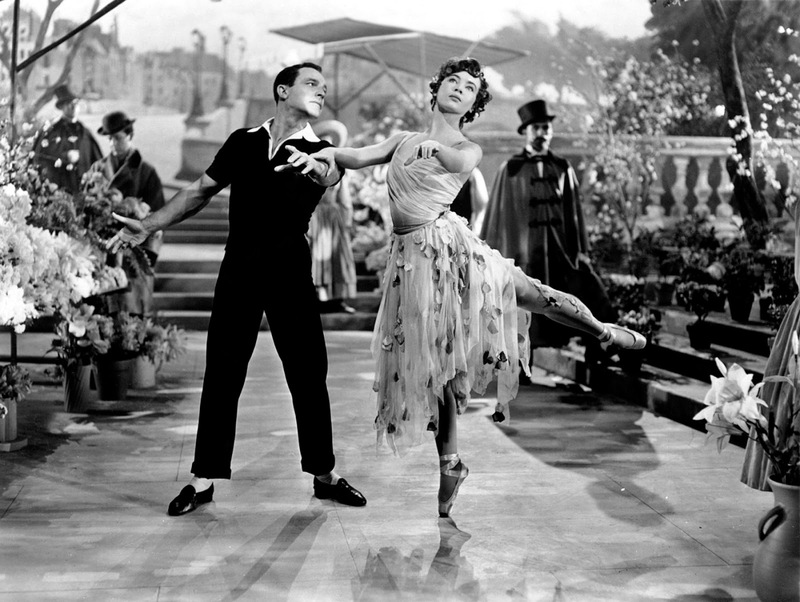 The film's piece de resistance is the 17-minute ballet sequence, but my favorite moment is Gene Kelly and Leslie Caron's romantic dance to "Our Love Is Here to Stay." TCM at 4 p.m. June 12; DVD; Blu ray; video on demand. Honorable mentions: On the Waterfront; Roman Holiday; Sunset Boulevard; Quo Vadis. The 1960's were a transitional period in American film. While the first part of the decade featured big budget spectacles like My Fair Lady (1964), the Hollywood studios gradually moved to more experimental fare that led into the auteur movement of the 1970's. 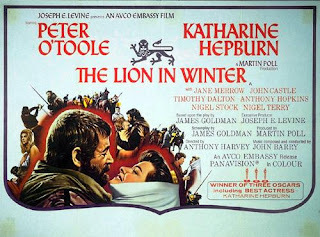 The Lion in Winter, a drama about medieval English monarch Henry II (Peter O'Toole) and his powerful wife Eleanor of Aquitaine (Katharine Hepburn), straddles the line between the past and the future with the glorious verbal sparring between the two old Hollywood icons (if you think your family Christmases are unbearable, just watch this movie) and great performances from up and coming talent like Anthony Hopkins and Timothy Dalton. DVD, video on demand. Honorable mentions: Mary Poppins; The Hustler; In Cold Blood; In the Heat of the Night. Fine list! Selecting a representative film for each decade is a clever way to approach this challenge. Another participant chose AN AMERICAN IN PARIS, too, which is pretty interesting considering all the classic movies out and the requirement to limit your choices to just five! You know, it's been too long since I've seen THE LION IN WINTER. I need to watch it again; I had forgotten that Anthony Hopkins and Timothy Dalton were in it! I'm glad there's so much love for An American in Paris. Thanks for hosting! This was a fun blogathon to write. Brilliant! I forgot a Christmas movie, but you have "The Lion in Winter". 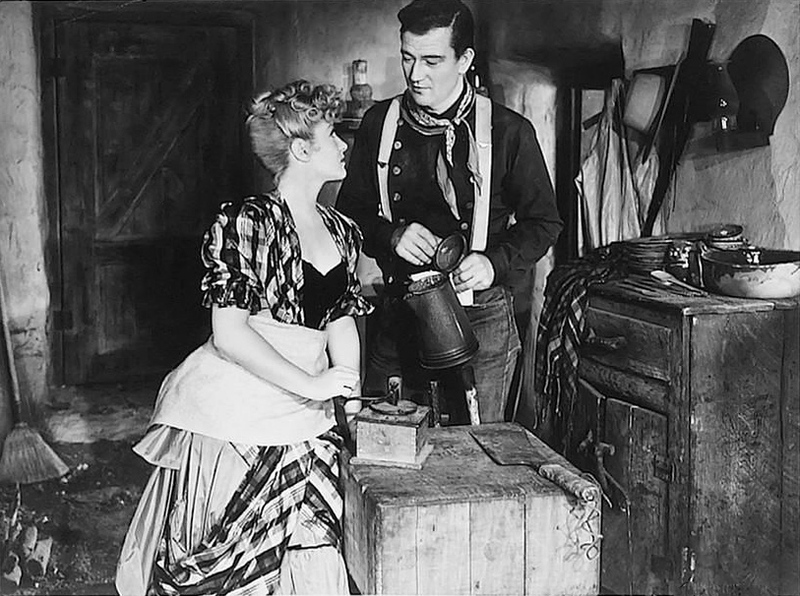 "Stagecoach" is perfection on film. Hey! I DO have a Christmas movie. Not a dysfunctional family gets together for dinner Christmas movie, but there's a tree and gifts. Also, I want to comment your Gershwin selection. Very nice. Hi Amanda. You have composed a list of very impressive choices. I like how you went in order with the decades. I could easily join you on your island. I had to sadly miss some films out. This was a tough challenge. Don't forget to check out my list. Here it is below. I enjoyed your list, especially since you included two of my favorite actresses, Ethel Barrymore and Carole Lombard. All great choices! We actually have one film that is the same. A second came very close to making it but I ruled myself not to have more than one noir. Great choices - I especially love that you included A Lion in Winter. O'Toole was unforgettable. I truly enjoyed that you surveyed films by decade in helping select your films. You have another fan for noir and "Double Indemnity." Fred MacMurray didn't stand a chance against Barbara Stanwyck! Choosing one from each decade is a great way to narrow down the endless possibilities. I love the criteria people have been coming up with as the way to choose their film lists--this has been so much fun!